Why won't popup windows open when I click on certain links? 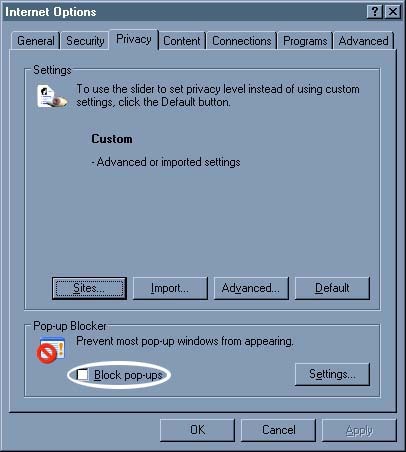 If you have installed Microsoft Windows XP Service Pack 2, a popup-blocker has been installed into your Internet Explorer. The first step is to open the popup-blocker preferences. 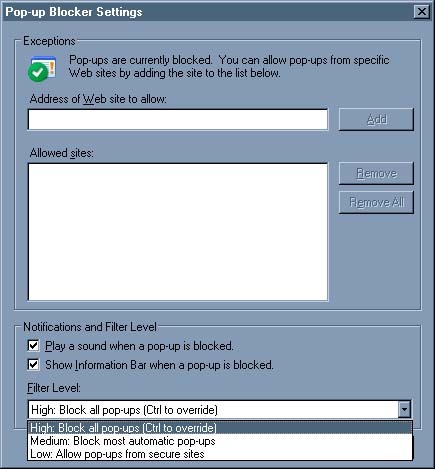 The pop-up blocker preferences are located under Tools -> Internet Options -> Privacy. Select "Internet Options" from the "Tools" menu of Internet explorer. On the "Internet Options" configuration screen, select the "Privacy" tab. 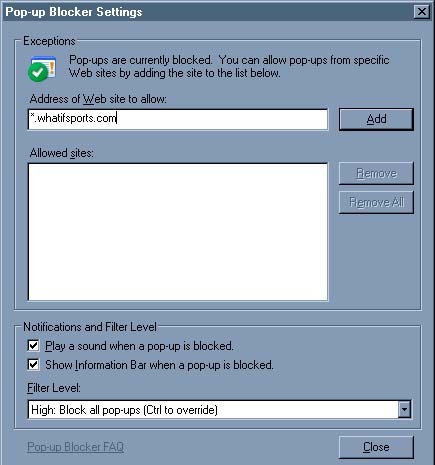 Click the "Settings..." button in the "Pop-up Blocker" section. Change the "Filter Level" under "Notifications and Filter Level" to Medium or Low. In the "Address of Web site to allow" type *.whatifsports.com.